Looking for the best recording microphones to improve your podcasts, YouTube videos, or music recording? You’ve come to the right place! We found 10 great recording microphones that work for a variety of needs, from conference calls to karaoke to sports announcing! Whether you’re on a budget or want a professional upgrade, we’ve got you covered! Before you invest in a new microphone, here are some features you should know about, so you can choose the best microphone for you! Connection: XLR connections are commonly used to connect to mixers and other professional recording equipment. 3.5mm jacks are the same audio ports you’d use for headphones, and USB is great for hooking straight into your laptop for convenient recording and editing! Suspension Arm: A suspension arm attaches to a table or countertop, and it allows you to swing your microphone around to where you need it. You can also adjust the height, so you can record while standing, sitting, or anywhere in between! Pieces Included: While some kits come with just the microphone, we found others that come with all kinds of accessories to help you get your home or recording studio up and running! Many come with extra covers, extension cords, adapters, and more! Mic Color: While most microphones are typically black or silver, that doesn’t mean yours has to be! We found a variety of microphones in a bunch of fun colors, so you can choose the best microphone that blends in or stands out! Dimensions: Whether you want a travel-sized microphone for podcasts on the go, or a full-sized one for recording your next music demo, no worries! We found a variety of the best recording microphone options at different sizes to fit your needs! Warranty: Finding the right microphone is an investment that should last you through years of podcasting, recording music, and more! However, if something happens, a warranty ensures you can get a replacement or repairs to get you back in the studio! Now that you know about all the great features these microphones have to offer, let’s find you a great one for your home studio! All these microphones record high-quality sound that you can use with your favorite mixing equipment, laptop, or even your smartphone! If you’re short on time, we understand! We started with our Top Pick and Budget Pick, so you can read up on those today and come back later to read the rest. Let’s get started! Our Top Pick from Electro-Voice is the best studio recording microphone kit we found to record music, podcasts, voiceovers, and more! This kit has everything you need to start recording, starting with the RE20 microphone. We like this microphone because it’s a professional-grade device that picks up sound with amazing clarity, even in low-level situations. This microphone is popular among professional sports announcers, radio hosts, and musicians alike – and we think you’ll love it too! We also like this recording microphone kit because it has all of the accessories you’ll need to start recording today! 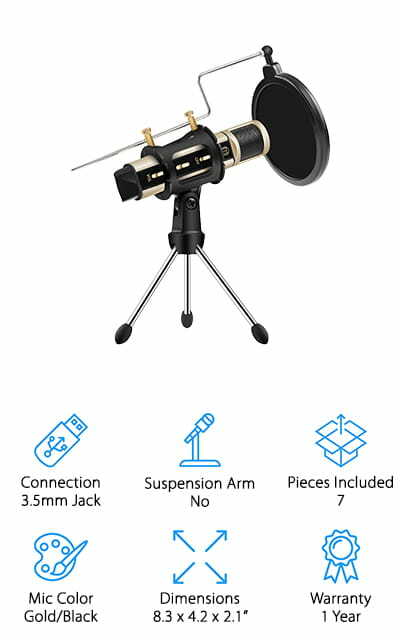 There is a shock mount to reduce vibrations and a long broadcast arm you can hook your microphone to place it close to you or your instrument. It also has a 10-foot XLR cord, so you can hook it up to your recording equipment from anywhere in the room! If you’re looking for the best microphone for voice recording, then invest in the best! Our Budget Pick from Blue Snowball is the best recording microphone home studio enthusiasts on a budget will enjoy! 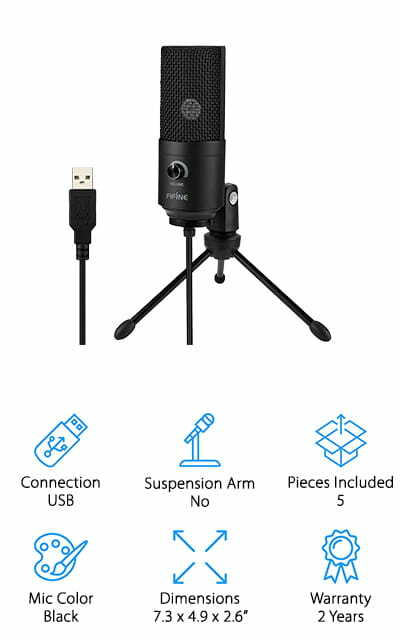 This inexpensive, compact microphone is great for recording podcasts, adding audio to YouTube videos, or providing clearer audio for Skype, FaceTime, or conference calls. It’s incredibly easy to use – just plug the USB cord into your laptop and start using it. There is no need to install software or special drivers, and it works on Macs and PCs! We like that it’s small enough to take with you on the road, or keep it on your desk without using up precious space to work! This little microphone also has a bright red light that turns on when it’s recording, and the stand keeps the microphone firmly planted on your desk to prevent vibrations or shaky audio. If you’re on the hunt for a solid microphone at a great price, pick up one of these mini microphones for your home studio setup! Another favorite of ours for the best microphone for singing recording, podcasts, and music is the SM7B from Shure. This microphone is made to be used close-up while singing, playing instruments, and recording voice work. It has an internal shock isolation system that reduces noise distortion if you are too close or bump into the microphone while recording. We also like that it was made to reject the electromagnetic hum of devices that often interfere with recording, like the hum from laptops, neon lighting, monitors, and other electrical devices. You can get professional quality sound without needing to be in a soundproof booth, and it reduces the amount of post editing you’ll need to do! This is the microphone favored by professional radio hosts, podcasters, and voiceover artists to get the clearest sound with the least outside noise interference. If you’re looking to upgrade your recording kit, investing in this high-quality microphone is a great place to start! When looking for the best condenser microphone for home recording, we wanted something compact, easy to use, and adjustable to a variety of recording situations. This microphone from Blue Yeti does it all! First, it’s a small microphone that sits firmly on your desk or tabletop to record audio or live stream conference calls or video conferencing. You can easily pack this up and take it with you on the road for travel podcasting, remote interviews, or recording a new song when the inspiration hits! It also has several direction modes, so you can isolate the microphone to only pick up what you want. You can set it to record just you, the entire room, or just you and a person sitting across from you! It hooks directly into your computer via USB cable, so you can record and live stream easily. Oh, and it comes in 11 stylish colors, so you can pick one to match your home setup! Next up is this high-quality condenser microphone from Audio-Technica that’s perfect for using to record music, podcasts, voiceover, and more! If you don’t have a soundproof recording setup at home, don’t worry! You can still get professional-quality sound recordings from your home office, living room, garage, or basement. This microphone has a cardioid polar pattern, which means it will pick up your voice or instrument clearly while reducing the pickup of noises on the side and behind the microphone. This reduces the amount of editing you’ll need to do in post! It has a wide dynamic range, so we think this is the best recording microphone vocals and instruments will both sound great on! If you already have your recording equipment but want to upgrade microphones, this is a great option! It’s also small enough that you could easily travel with it, and it comes with a small pouch to keep it protected in your luggage or travel kit! 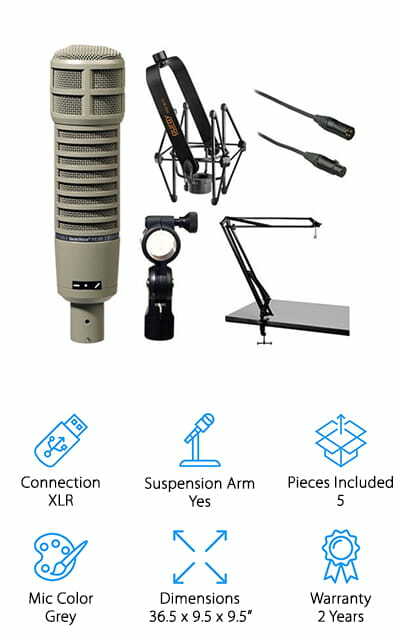 If you’re a budding podcaster, streaming sports announcer, or looking to record a vocal demo, this broadcasting microphone kit from Rode is a great place to start! This kit comes with everything you need to start recording your favorite music, podcasts, and more – right from the comfort of your own home! We like that this comes with a sturdy boom arm that gets the microphone off your desk and right in front of your face. You can swivel and adjust it to your comfort level, and adjust it easily for guests! 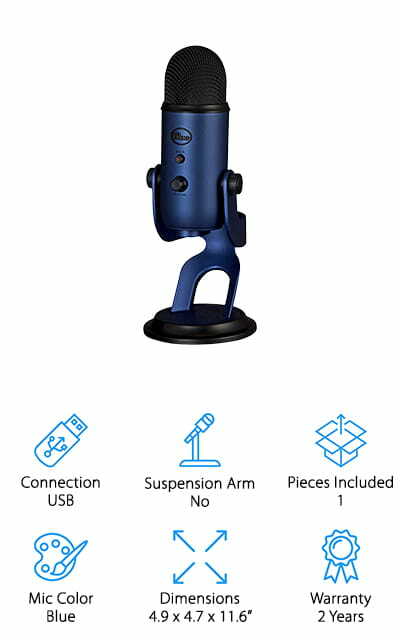 It also comes with a shock mount for your microphone to reduce the amount of vibration or noise that comes from handling or moving the microphone. There’s also a travel pouch for your microphone, so you can take it on the road with you, too! It’s a relatively inexpensive kit that looks and feels just like the microphones your favorite broadcasters use to record their shows, games, and more! Wondering what microphone is best for recording your YouTube voiceovers without worrying about complicated equipment or drivers? 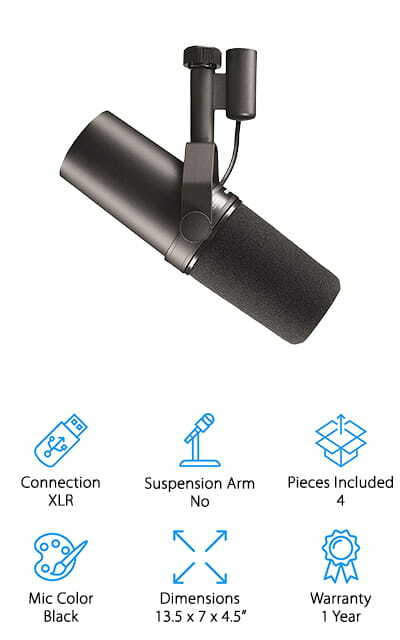 Pick up this condenser microphone from Fifine! We like this microphone because it couldn’t be easier to use – just plug the USB cable into your computer and record! This microphone doesn’t require you to install drivers or software, so it’s ready to use with your Mac or PC right out of the box! You can hook it up to a mic stand, hold it in your hand, or use the desktop stand it comes with. It also has volume control, so you can control what the microphone picks up. This is great if you’re using it for conference calls or video chatting! The desktop stand swivels, so you can point it in the direction of whoever is speaking, making it great for group podcasts. It’s also small enough that you can take it with you for remote interviews or podcasting on the road! Another inexpensive microphone that is perfect for your home studio is this recording microphone from ZealSound! The compact design makes it easy to use while recording YouTube videos, vocal tracks, podcasts, and even using while video chatting with family and friends. We like that this is a wireless microphone that gives you 4-6 hours of recording time with one charge. This means you can move it around to exactly where you need it – no worries about needing extension cords or special mounting hardware! It’s great for recording vocal work, thanks to the adjustable volume and echo buttons that give you control over the sound as you record. The windscreen attaches easily to prevent extra air hitting the microphone, which reduces hissing and lisping sounds while singing or speaking close to the microphone! The omnidirectional microphone picks up sound from all sides, allowing you to use it for recording music, group chats, and using during conference calls for clear, crisp sound. This microphone kit from TONOR will make a great addition to your home studio! 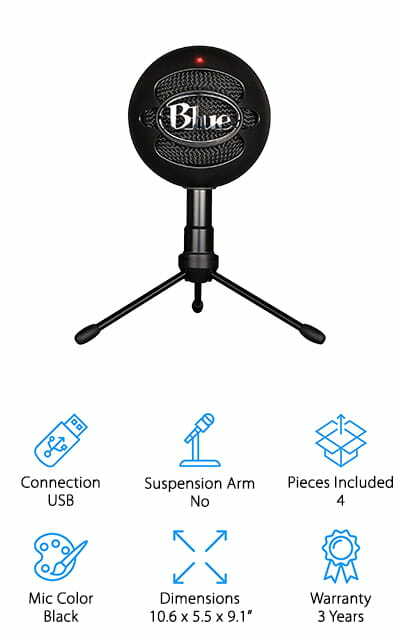 It comes with a condenser microphone that captures music, vocals, and voiceovers to edit on your laptop, mixer, or enjoy using for karaoke! 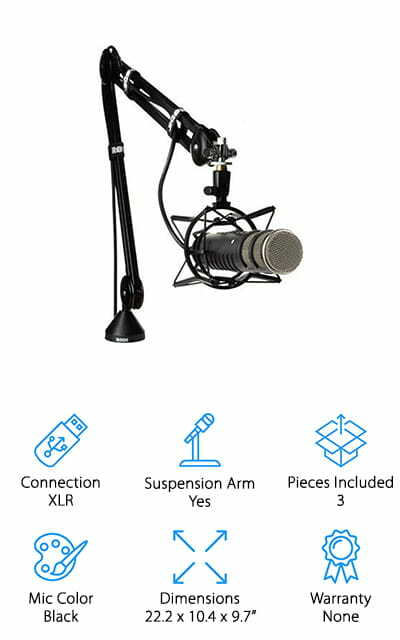 We like this kit has a sturdy suspension arm you can lock to your table or desk securely, so the microphone meets your voice, rather than bending over to meet the microphone! 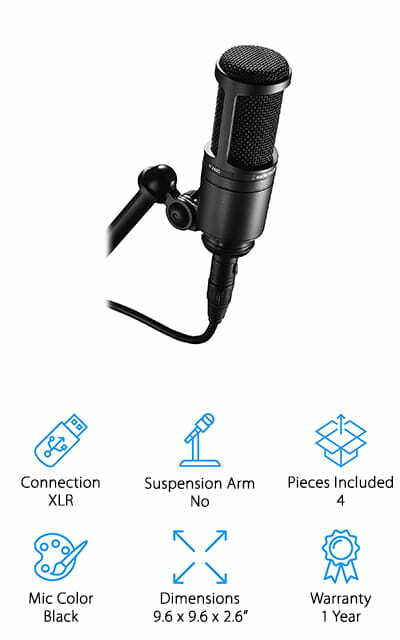 It also comes with a windscreen, pop filter and rigid shock mount that reduce extra air from hitting the microphone while you speak or sing, which will give you a superior sound overall. The long XLR cable allows you to move around, and it’s easy to hook up to your mixer or computer with the right attachments. While you can’t use this microphone with a smartphone, it’s great for using with professional recording equipment and computers. Just add your own phantom power supply and sound card, and you’re ready to go! Last up is one of the best music recording microphone kits out there for musicians, singers, and podcasters that won’t break the bank! This kit has everything you need to get started on your next demo tape, podcast, or YouTube video! 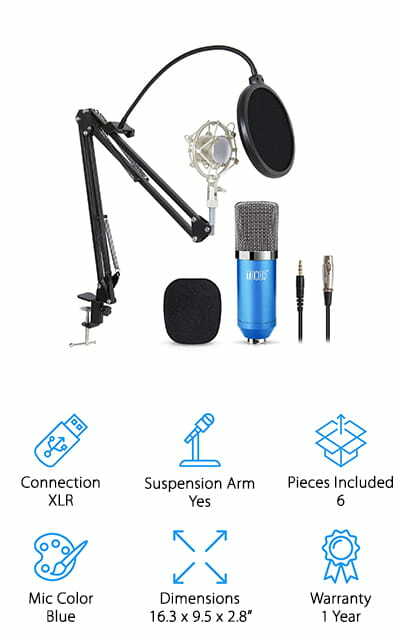 It comes with a high-quality condenser microphone, arm stand, shock mount, windscreen, anti-wind foam cap, XLR cable, sound adapter, and all the hardware to set it up! This is a great kit for recording vocals and instruments because you move the microphone to the sound, not the other way around! It’s also good for podcasts, especially if you have several hosts or guests – just swivel the microphone their way! The small microphone is also great for traveling, whether it’s for remote interviews, travel podcasting, or even field recording! 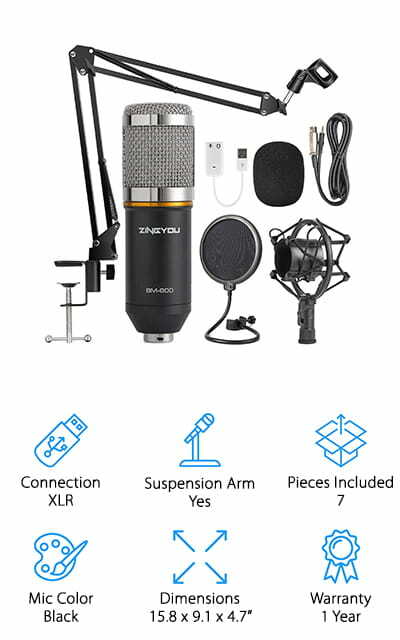 We think this would make a great gift for someone who wants to start their first podcast or learn to record themselves singing, playing an instrument, or streaming while gaming!